Little birds in the Pacific Northwest brush flicker around from branch to branch in search of insects and other tasty things. 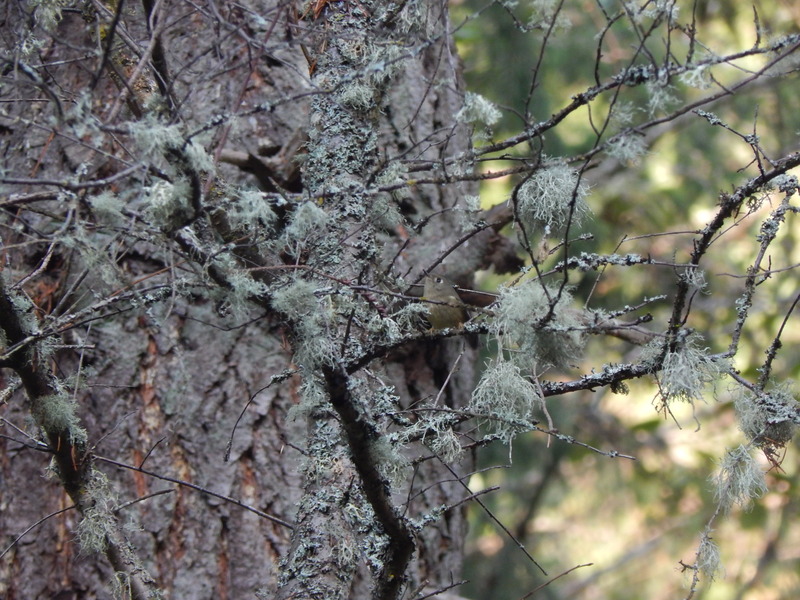 They travel through the woods with other small birds like chickadees and kinglets. Photography of them is a challenge that requires taking many pictures with no birds in them. The technique used to capture larger birds where a visual sighting is made and then snapping a shot just does not work. By the time the camera is focused and the shutter hit they are gone. Today, I gave it a try at Lincoln Park in Seattle. I heard them first and then saw some activity on a fir tree. Got my camera up and started taking photos knowing some would have them some would not. I got 3 bird shots out of 13. Guess not too bad. 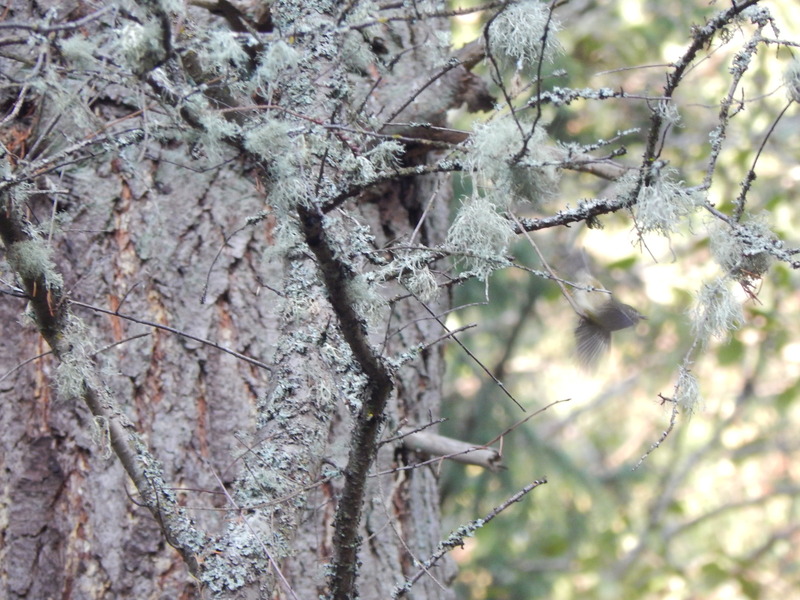 All three are of a female Golden Crowned Kinglet. She was so quick I was surprised I got 3 shots. First the photo you see at the beginning of this post has her on a branch looking away. Her coloring makes her hard to see but she is there tad to the right of center. This next one is the best of the lot in it’s clarity and her facing us. You may also have trouble finding her in this shot too but look to the center area. Once you see her you won’t miss her the next time. Lastly is the third picture which is actually the first of the series in my memory card. This one has her in flight. Not a clear shot by any means. However, I like it since it illustrates the elusiveness of these quick little birds. Kinglet in flight – so hard to capture on film! Thanx!! Glad you stopped by.